oatmeal pecan pancakes with apple bourbon butter – recipes from the birdcage. Is there anything that screams “weekend” more than pancakes? My Saturdays are consumed with farmer’s market activities and baking, for the most part. My Sundays, in contrast, are reserved for (a) pajamas, (b) coffee, and (c) brunch. At yesterday’s Four Seasons Market in Richardson, I happened to cross paths with my buddy James with Spaulding’s Specialty Spices where I got my hands on some new items to play with for upcoming posts. James is an urban farmer who grows many of his spices in his organic backyard. I just love that his spices don’t contain anything that other commercial spice blends contain (like silicone or MSG). You can find information on ordering his spices here. The pancakes themselves are hearty due to the addition of quick oats and finely minced pecans. I haven’t tested them with Old Fashioned Oats, but I imagine they’d work just fine. The recipe call to let the batter rest for five minutes, I’d let it rest a few minutes longer to allow for the larger grains of Old Fashioned Oats to soften. Just a note – these pancakes are not super sweet in themselves – they’re meant to be slathered with butter, Apple Bourbon Butter, and maybe even maple syrup. 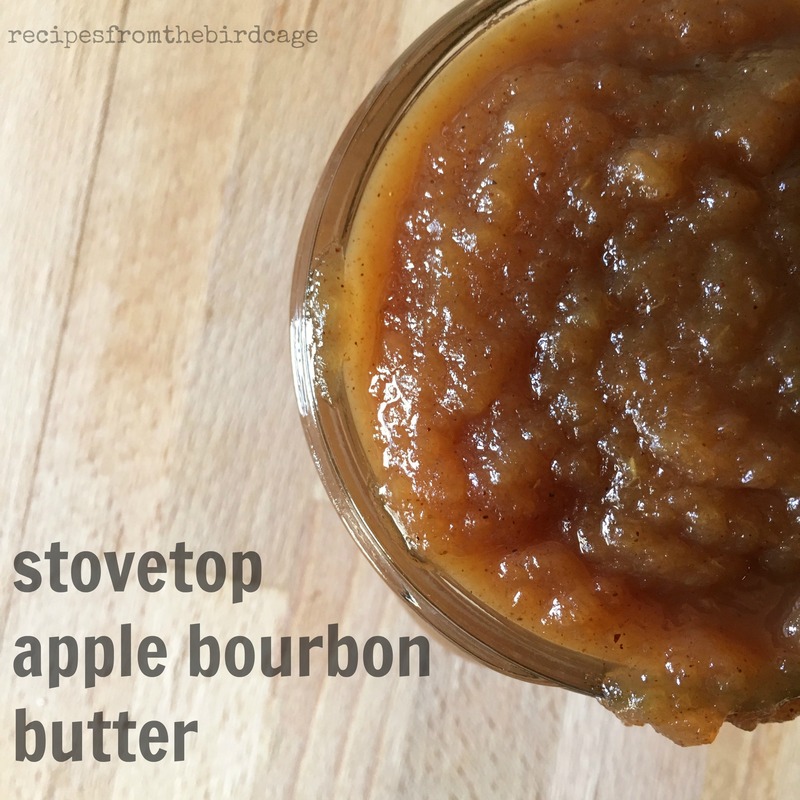 For the Apple Bourbon Butter, please see this post. 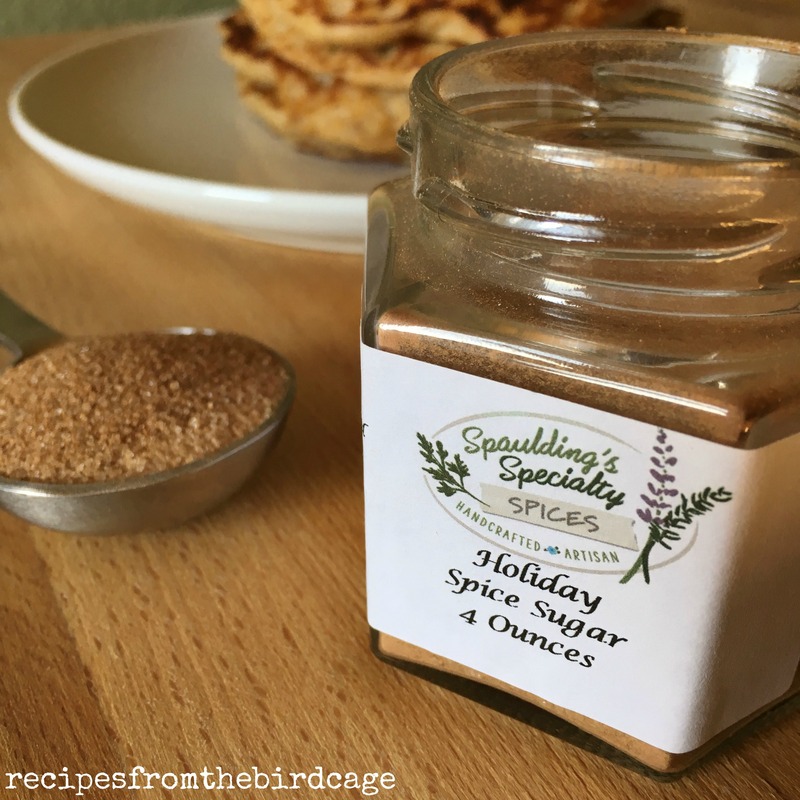 *Substitution – replace 5 T. sugar with an equal amount of Spaulding’s Specialty Spices Holiday Sugar, and reduce the additional spices to 1/2 tsp. cinnamon only. 1. 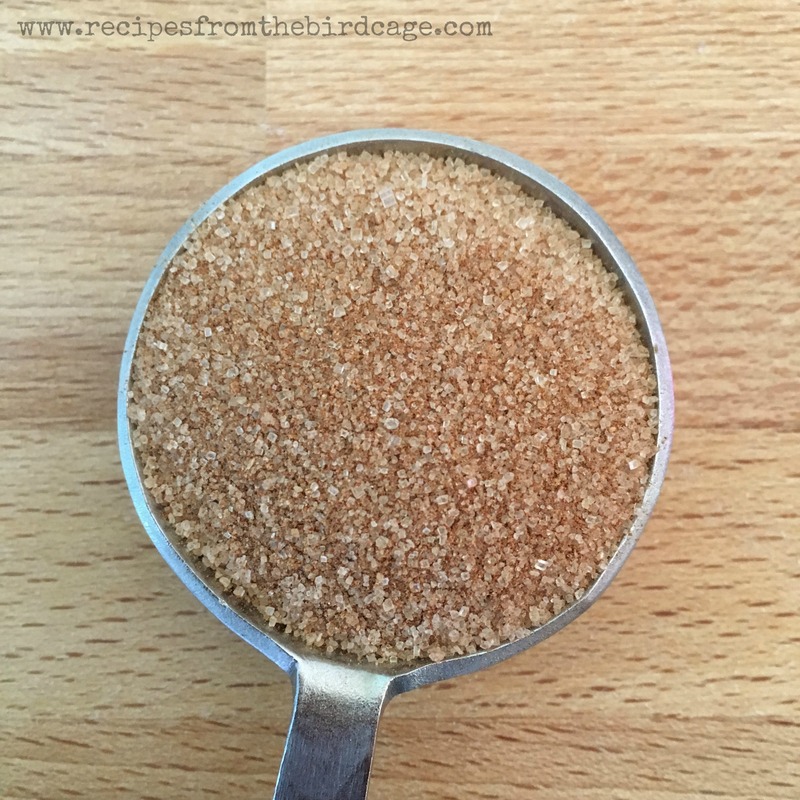 In a large bowl, use a whisk to combine the flour, sugar, spices, baking powder, baking soda, and salt. 2. In a medium bowl, whisk together the buttermilk, eggs, melted butter, and vanilla. 3. Add buttermilk mixture to dry ingredients and stir just until ingredients are incorporated. 4. Allow batter to rest 5 minutes. 5. Use a 1/3 cup dry measuring cup to pour butter onto a lightly greased griddle. Cook approximately 2 – 3 minutes per side. 5. 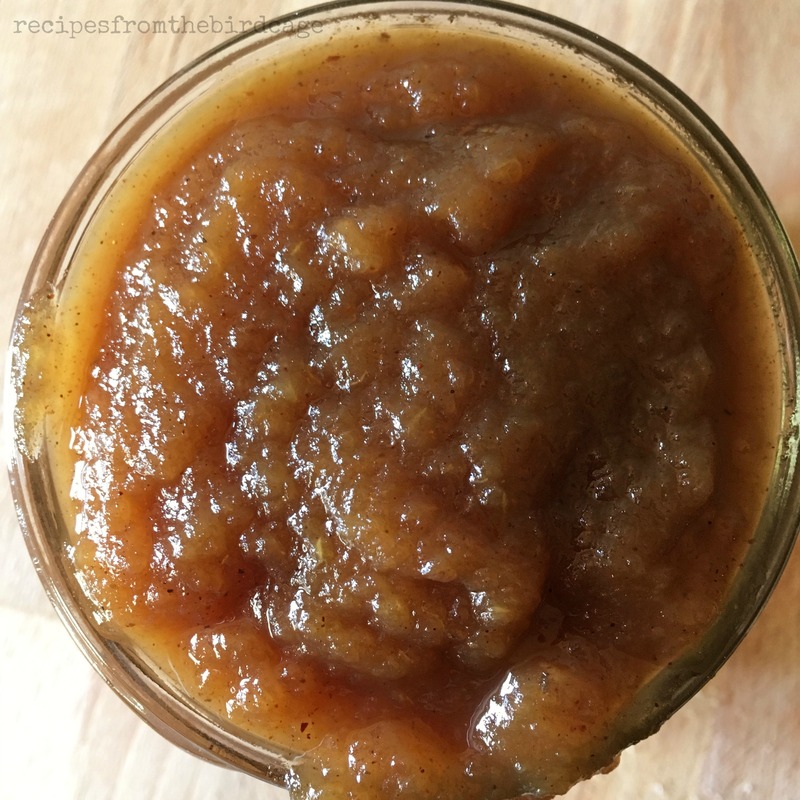 Slather on your butter and Apple Bourbon Apple Butter. ***You can keep cooked pancakes warm while you finish your batch by setting your oven to 200 degrees and then shutting oven off. Put cooked pancakes on a cookie sheet and they’ll stay warm while you finish cooking the remaining pancakes.